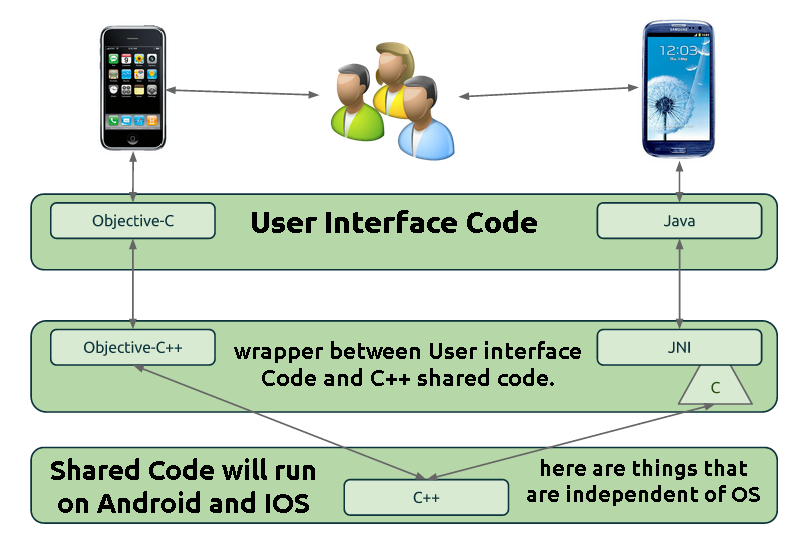 Burrows Blog: How to use the same C++ code for Android and iOS? Hey,thanks a lot for your sharing.Dealing with only one code base shared among iOS and Android platforms brings a few benefits too. In the first place,there is more collaboration among the iOS and Android teams,pretty much by definition.Bugs are caught prior and are fixed all the while for both platforms.Performance optimizations likewise profit both platforms in the meantime.Have a nice day.